Stories that share and embrace women’s joys, heartaches, and honest experiences. Only 4 percent of women around the world consider themselves to be beautiful, according to research done by Dove, and twenty million women suffer from significant eating disorders at some point in their lifeThe Honest Body Project was created to combat this tragic problem of poor body image in our society. Founded by photographer Natalie McCain, this project is opening the eyes of women around the world and helping them to see the beauty both outside and inside of themselves. It is a collection of black and white portraits and stories, raw and untouched, from hundreds of women who have bared their hearts and souls to be a part of the project. Natalie tastefully photographs the women in their underwear, showing off their natural shapes and imperfections.” There is no editing done after the fact, and the natural beauty of these womenfrom all backgrounds and walks of lifeshines through the lens. Together, they create a beautiful, honest picture of both motherhood and what it means to be a woman. Topics include body image issues, breast cancer, depression (postpartum and otherwise), anxiety, bottle feeding versus breast feeding, aging, and more. 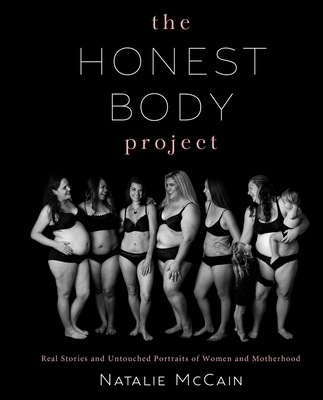 The Honest Body Project is a breath of fresh air, breaking down walls and helping women learn that they are not alone in their hardships. It wants to help women everywhere contribute to a better world, and to learn to love themselves and appreciate their bodies for what they are: perfectly imperfect. It is time to celebrate the true form of women. Natalie McCain runs a successful photography business and is the founder of The Honest Body Project, already discovered by millions of people worldwide. Through the project, Natalie uses the gift of photography to help others accept themselves and their bodies, celebrating what makes each of us beautiful. The women she works with and her nine-year-old daughter remain Natalie’s greatest inspirations. She resides in Rockledge, Florida.